Thank the stars for the world's eccentric collectors; hoarders of objects beautiful, strange or downright odd. It is these documentors of the great and trivial - who want to show us all something wonderful about their collections and share the insights into humankind each of them illuminates - who have created the most fascinating, wonderful and precious museums the planet has to offer. 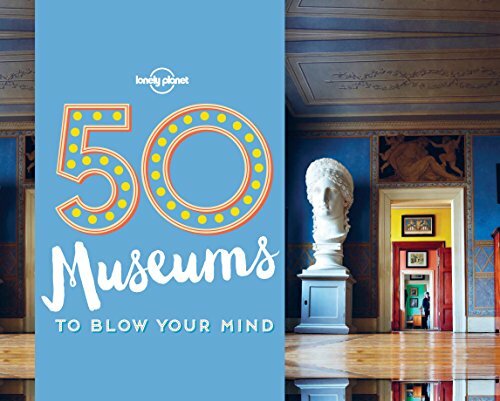 Boggle at the enormity of space, get nostalgic at childhood memories or be dumbstruck by the International Museum of Toilets�� Whether you're a history buff, tech-head or have an inexplicable fascination with clowns, you'll find world-class collections here to pique your interest. Never drag your heels around a dull museum again! About Lonely Planet: Started in 1973, Lonely Planet has become the world's leading travel guide publisher with guidebooks to every destination on the planet. Lonely Planet's mission is to enable curious travellers to experience the world and to truly get to the heart of the places they find themselves in.